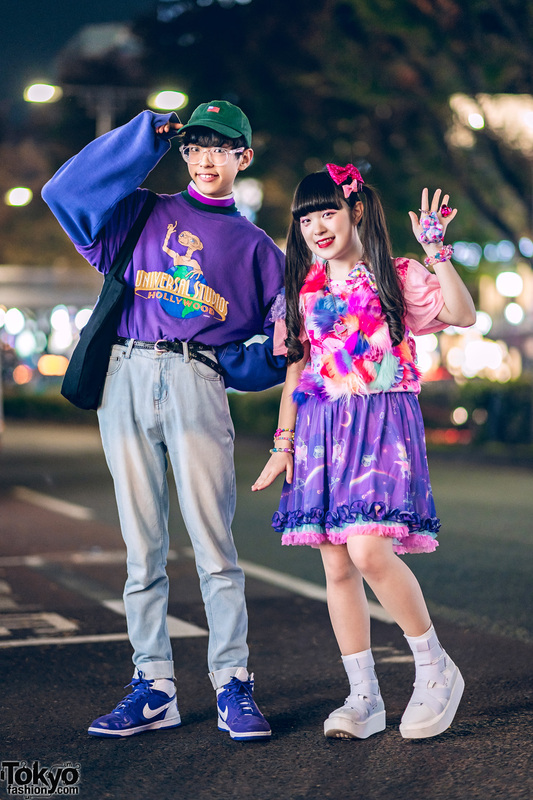 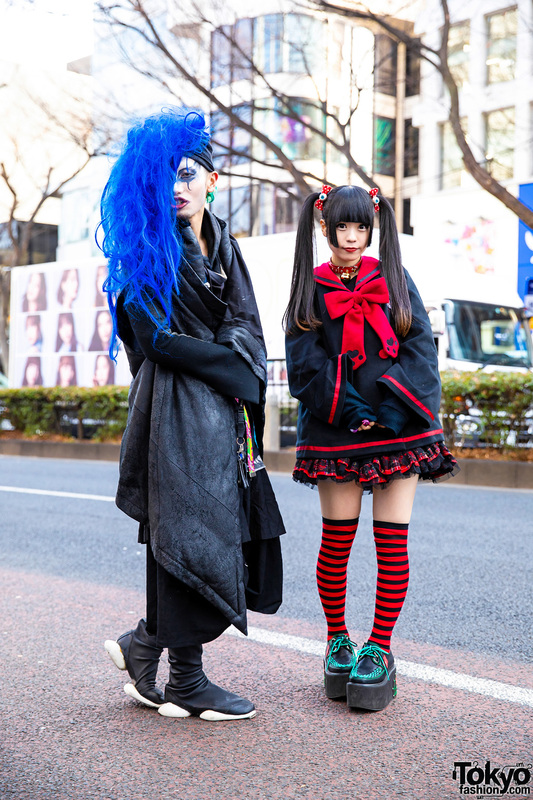 Harajuku duo sporting Comme des Garcons plaid streetwear ensembles while out and about on the street. 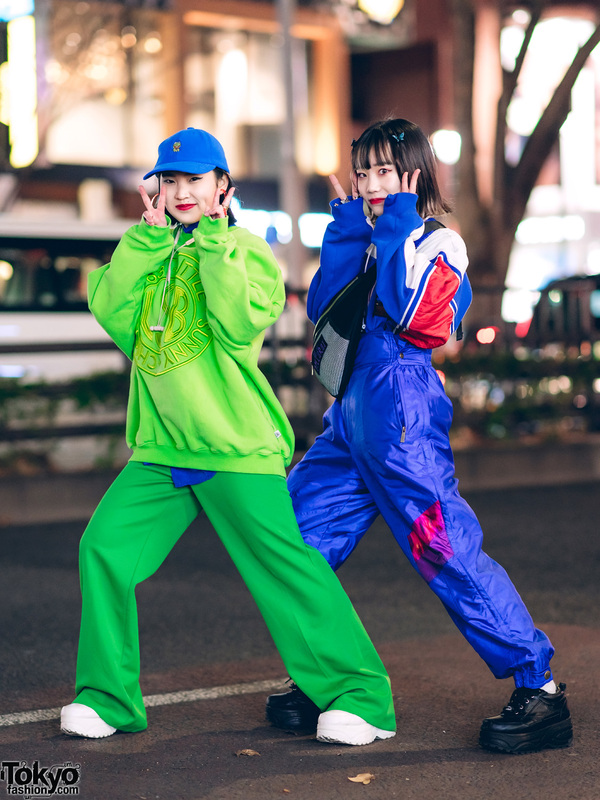 Harajuku teen students sporting green and blue sporty streetwear styles while out and about on the street. 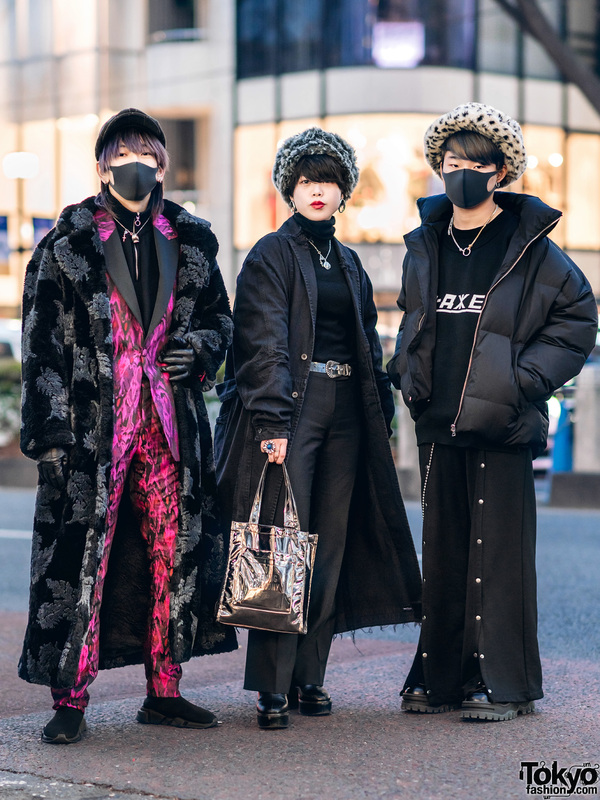 Harajuku girl dressed in a stylish all black look with resale coat, cutout leather dress, heeled boots and a graphic tote bag. 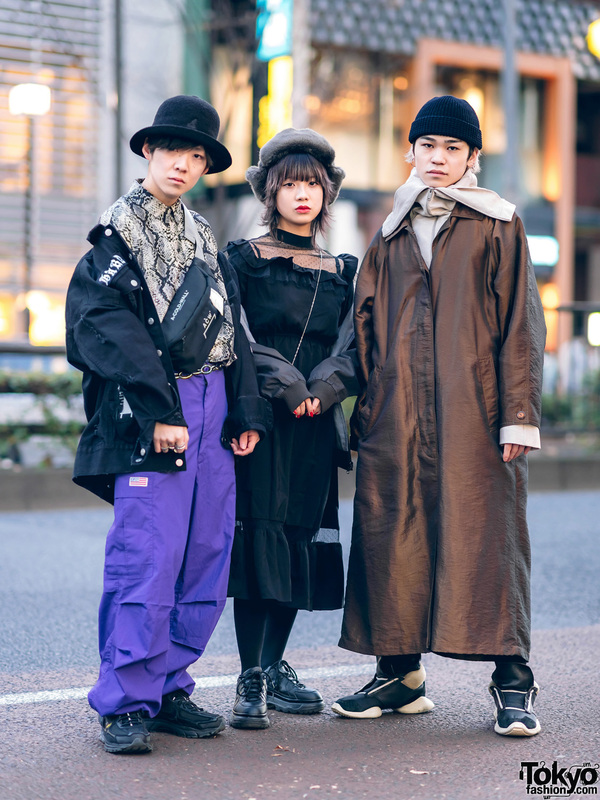 Harajuku trio sporting stylish winter outfits with MISBHV jacket, a black ruffle dress, and a brown maxi coat.